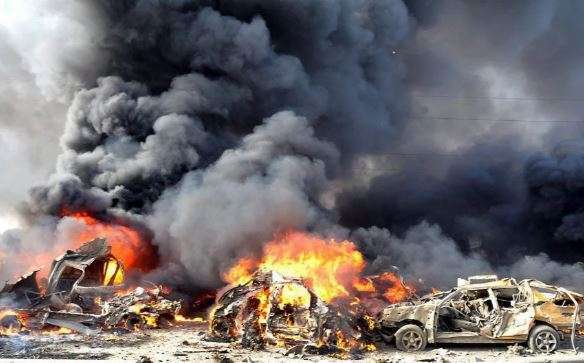 Sixteen people were declared dead when seven suicide bombers carried out bomb attacks in Maiduguri, Borno State on Sunday, June 25th and Monday morning June 26. The attacks also resulted in thirteen people also sustaining injuries. The first incident involved a male suicide bomber with a Person-Borne Improvised Explosive Device (PBIED) who gained entrance into the premises of University of Maiduguri. He detonated the device near the Rapid Response Services Office building. The suicide bomber died, injuring three University security pesonnel. The second incident involved four female suicide bombers who infiltrated Zannari community in Gwange area of Jere LGA. The bombers died killing eight other persons and injuring eleven others. The third incident which happened in the wee hours of Monday morning involved two female suicide bombers who detonated the PBIEDs in the University of Maiduguri.